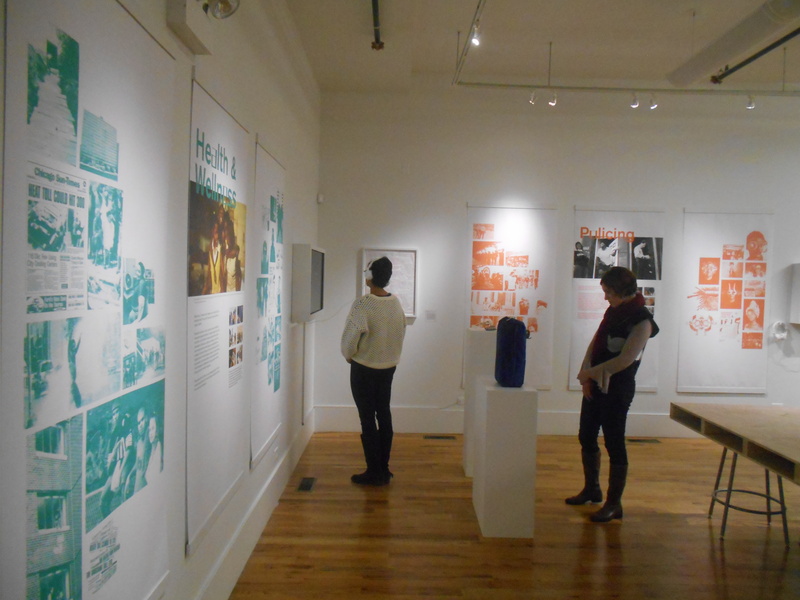 The South Side Speculations exhibit was founded on a simple, yet complex idea. In order to build a better future, one must learn from the past — and understand exactly why things happened the way they did. 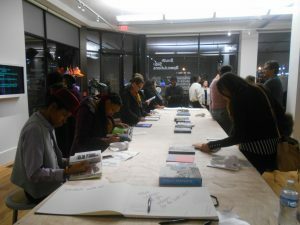 The exhibit was a culmination of Transmedia Collage — a two-year project that recruited teens from South Side, majority-black communities. They studied three major issues: disparities in infrastructure; lack of access to health and wellness resource; and discriminatory police practices. They then tried to imagine how those issues would be addressed. 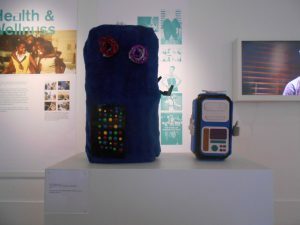 As the exhibit emphasized, they knew that it would take more than one thing to resolve those issues once and for all and, indeed, that those issues may never be fully resolved. South Side Speculations is displayed in the gallery space of Washington Park Art Incubator (301 E. Garfield Blvd). it kicked off with a grand opening on Jan. 18, and it will be run until March 1. 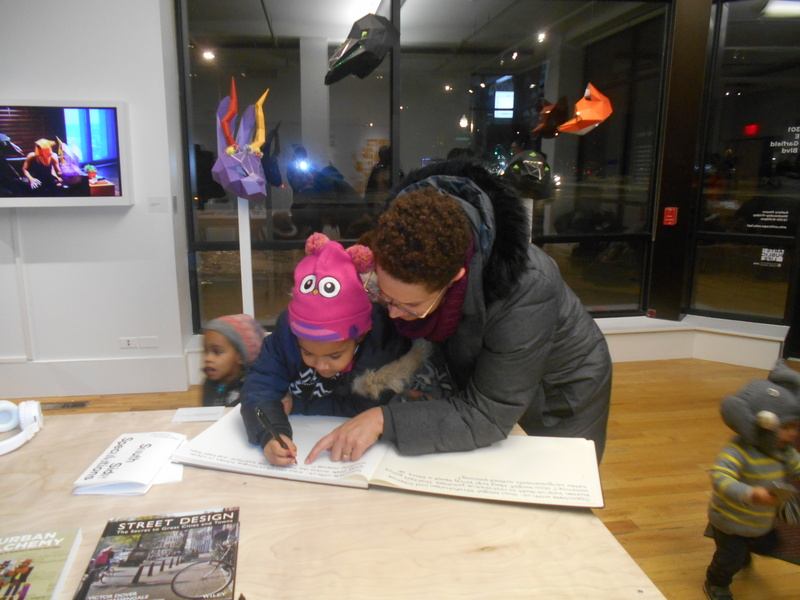 The gallery is free and open to the public every Wednesday-Friday, from noon-6 p.m.
Transmedia Collage was developed by the two initiatives by two major Chicago universities. Transmedia Story Lab is a University of Chicago initiative that “studies the use of multimedia narrative and stories” to address issues affecting the needs of the youth. History Moves is a University of Illinois at Chicago project that studies parts of the city history that don’t get much attention and make it publically accessible. And those connections went to the exhibition stage. 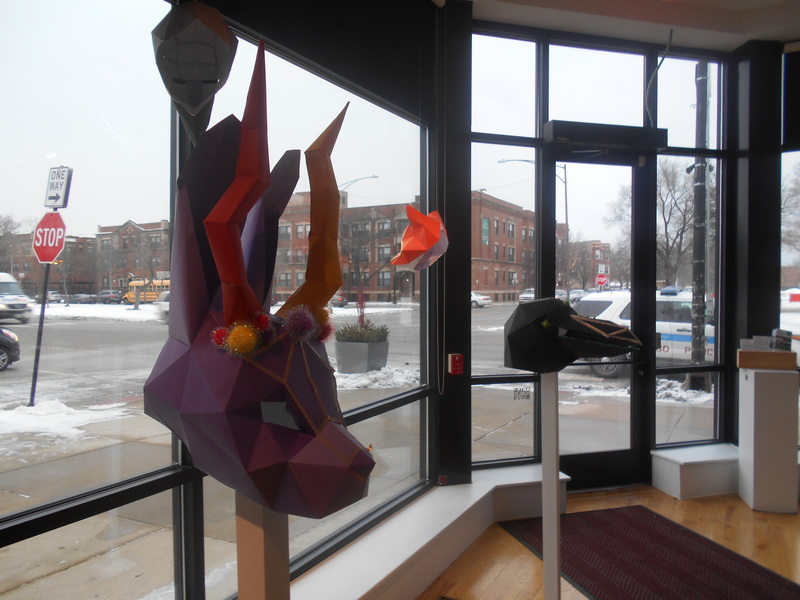 As previously reported by the Chronicle, the art incubator is operated by Arts + Public Life, a University of Chicago initiative that aims to support artists in Washington Park and the surrounding neighborhoods. Marquez Rhyne, who served as Transmedia Story Lab’s director between July 2015 and Jan. 2018, recalled that he had an idea for a project that would look at how Chicago youth would envision the future of their neighborhoods. He approached Patrick Jagoda, the lab’s co-founder and UC’s Professor of Cinema & Media Studies, and Jennifer Brier, the History Moves director. Together, they came up with something that looked at history, science fiction and mass media. They invited high school students from all across the South Side, with particular focus on teens who either lived in or had some connection to Englewood, Greater Grand Crossing, Washington Park and Woodlawn. Over the next two summers, the Transmedia Collage held workshops. During the first summer, the students dove into historical information about their communities. They were taught how to do oral interviews and used those skills to interview “community elders” who grew up in their neighborhoods. As Erin Venable, Art + Public Life’s Assistant Director of Communications, explained to the Chronicle, the idea was to give the youth a sense of what life was like when people in the past generations were around their age. During the second summer, the teens were asked to imagine the future of their neighborhoods, drawing on what they learned about the past, their present-day experiences, and what they learned about science fiction and Afrofuturism, a cultural movement that blends together African cultural traditions, technology and science fiction. Brier, who has more of the historical background, led the group during the first summer. Jagoda, whose background is in media and science fiction, led during the second summer. Interns from UIC and other instructors helped as well. Rhyne said he was involved during the first summer, and he stayed on in the advisory role during the second summer. The end result was an exhibit that span across the three walls of the art incubator’s gallery — one wall for each topic area. With infrastructure, the goal wasn’t just to look at what’s there, but how what different neighborhoods have or don’t have affects the quality of life. To create a more equal environment, the teens came up “modular homes” — either single-story or multi-story buildings that could be delivered to either South Side’s Chatham neighborhood or Northwest Side’s Albany Park neighborhood. They were inspired by the fact that, even though the former is a majority-black, traditionally middle-class neighborhood and the later is an immigrant working-class neighborhood, they have similar housing stock and some similarities in their histories. With health, the teens delved into how what kind of health services are available in different parts of Chicago, and the disparities in access to those resources. The notorious mid-90s Chicago heatwave loomed large over that particular section. 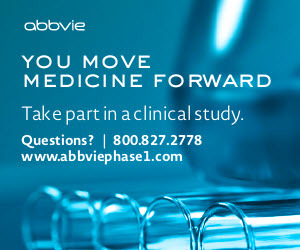 Their visions for the future focused on delivering medicine to residents who can’t reach clinics and connecting them to resources they might not be aware of — whether it’s through robots or augmented reality devices. The teens wound up putting together a short film where an inventor father used futuristic technology to try to protect his son from the police, while the son doesn’t take his efforts seriously — to his own peril. Sherri Peterson, of Avalon Park, was one of the students who helped put that part together. She designed the masks the characters in the film wore. The mask’s specific designs and colors, she said, were connected to African cultures. “I think I learned more about how people feel,” Peterson reflected, adding that she appreciated being part of something that was important. Finally, as all of the people involved in organizing South Side Speculations noted, they didn’t want visitors to just look at the exhibit — they wanted them to think about what the future of the South Side looks like and share their own ideas. A table set up in the middle of the gallery has books on Chicago history, social change, policy and how the three intersect. Visitors are free to read the books, listen to recordings of the interviews and write down their ideas in one of the two large guestbooks located at each end of the table. The exhibit organizers all said they were impressed with the end results.